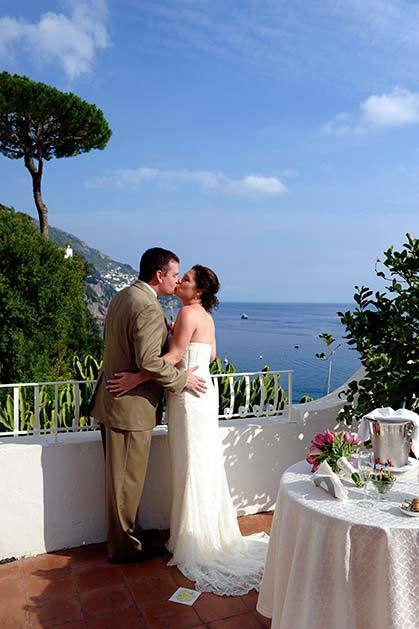 Plan your symbolic wedding or non-commitment ceremony in Positano! A perfect destination to celebrate your love is this magical Mediterranean sea-side village on the beautiful Amalfi Coast. 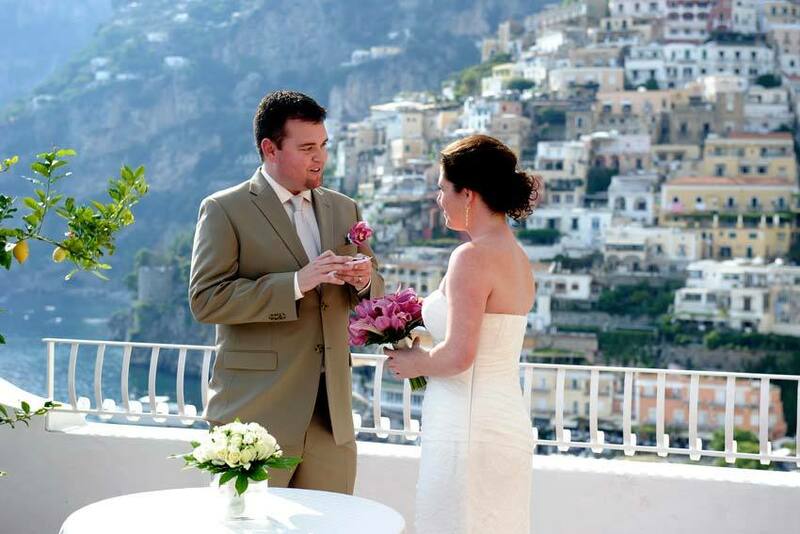 Positano offers a wide variety of venues where to perform secular wedding ceremonies. A beautiful luxuriant garden in the heart of Positano short walking distance from the beach. The garden is part of an exclusive 18th century palace once owned by the Bonaparte family. Incredibly romantic it is ideal for private ceremonies. The ceremony is held in a secluded garden area among tropical plants, palms, lemon and orange orchards and bougainvilleas in bloom. Champagne cocktail is possible after the ceremony. Venue available for sit-down reception too. This venue is ideal for small or large destination weddings up to 70 guests. 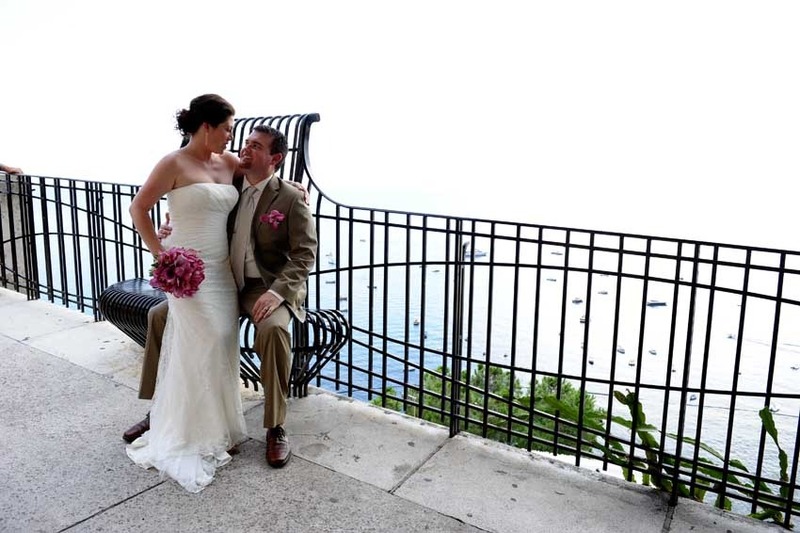 A symbolic wedding ceremony in Positano can also be organized in an exclusive self-catered villa that lies on a rocky ridge, in one of the most evocative backgrounds overlooking Positano and Li Galli island. The wedding ceremony can take place in a panoramic terrace overlooking the sea and be followed by an intimate sit-down reception. The villa can accommodated up to 12 people. 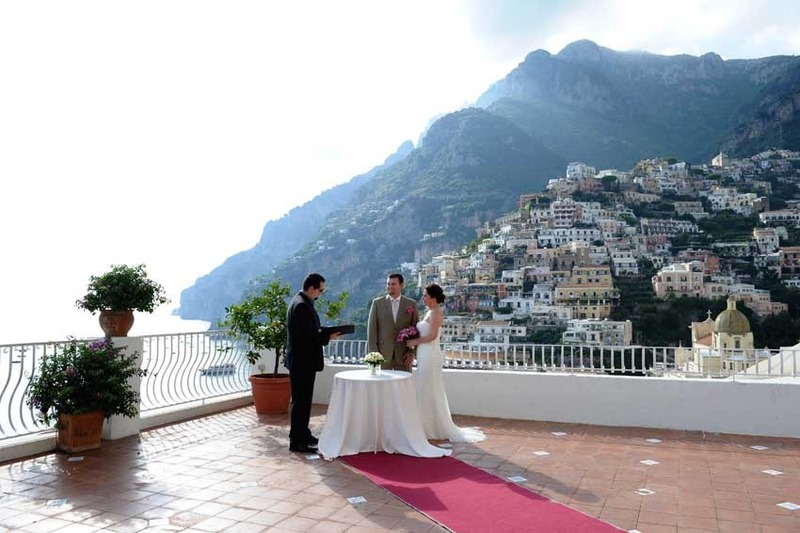 Many hotels in Positano offer panoramic terraces as special settings where to hold a symbolic ceremony. 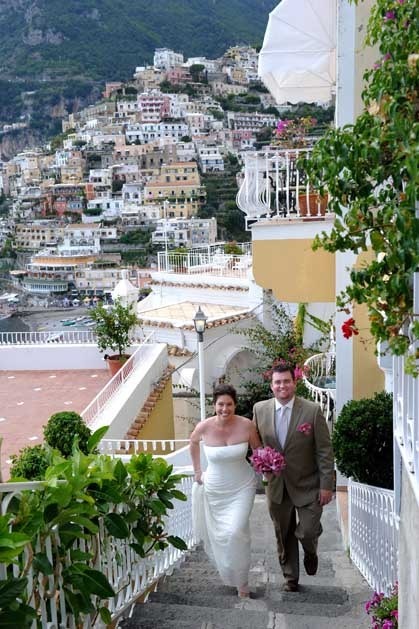 Some of them may have large terraces that can hold large number of guests, while others are more suitable for a romantic elopement ceremony in Positano. This kind of ceremony can be organized from April until October. The ceremony can be conducted by a celebrant or a friend of yours or family member and can be performed in English. The ceremony is purely a commitment ceremony with no legal validity. A rental fee may be applied by the venues listed above to allow this kind of ceremony.